SnoreMender: Too Simple For Its Own Good? While they claim to have made improvements to the design, SnoreMender is one of the most basic mouthpieces on the market today. The simplicity of the design may be holding it back. Is this true? Find out here. SnoreMender has an incredibly simple design to be categorized as a Mandibular Advancement Device (MAD). It is designed in a very similar manner as others in the group. The reputation of SnoreMender really has been sullied due to the first design of the product, despite the several design alterations that have been marketed since. It is not often I come across a device that has earned such a plethora of mixed feelings from consumers. Some can't say enough good things about it while others would not touch it with a ten-foot pole. It has strengths and weaknesses, and you may find great success with it. While that may hold true for any MAD on the market, I'll let you come to your own conclusion as I delve into the meat of what the SnoreMender is and how it works. Normally, the first place I visit whenever I see when I visit a new product on the market is the About Me or About Us page. We've been taught in all our research the high importance of this page. Sleep Well Enjoy Life does not have one. A friend of mine recently had a discussion about an entirely separate topic that I think applies here. We were talking about markets in different countries. He pointed out that some markets whose home offices are in other countries tend to cater to local demographics when it comes to standard business practices. Despite the idea that the world is getting smaller and smaller, these companies fail in the international marketplace. This is something that needs to be addressed as the company is now selling to customers in the US. I found proof of this disconnect because customers in the USA look for certain credentials before buying a Class II Medical Device'”which is what a MAD is. They look for FDA clearance, Better Business Bureau ratings, and place of manufacture. These are important to them for general safety reasons, and Sleep Well Enjoy Life has not addressed any of these issues. What I have discovered is that SnoreMender was designed by an orthodontic firm in Denmark. A 30-year veteran of the American Academy of Dental Sleep Medicine led the team of designers. The academy focuses exclusively on oral appliances and dental solutions. This discovery lends a heavy hand to the credibility of the device. Furthermore, they offer their clinical evidence in PDF format directly on their website. This is a single-piece MAD with a unique hinge located at the rear of the device. They do not offer breathing holes, but that is okay. Most breathing holes are there because the instrument holds your mouth in a closed position, which often doesn't allow you to breathe. SnoreMender is made from a soft medical-grade plastic that allows you to breathe through the mouth naturally'”hence no breathing holes are needed. This mouthpiece offers minimalist design with less bulk in the mouth. The flexibility of soft plastic relieves some of the pressure that can be created. There is a significant advantage to this one over others'”pressure on the lower front teeth. The purpose of any MAD is to reposition your lower jaw forward just enough to prevent the muscles in the back of your throat from collapsing. By opening the airway, you have more room to breathe normally. The market for Mandibular Advancement Devices stands as a testament that the idea works. The issue exasperated by the idea is that most MADs put direct pressure on the lower front teeth to make this happen. If you are a snorer, like me, you are all too familiar with the pain in the morning associated with the use of these mouthpieces. 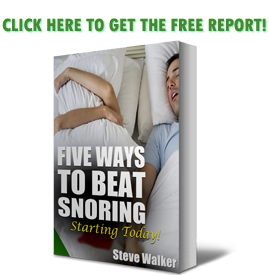 SnoreMender's design addresses the issue by refocusing how it places pressure on each tooth. Very little is offered in the way of adjusting this device. The solution the company offers is to purchase another device. While many devices use thermoplastic in their material design, this one does not. While having a smooth dental arch in the device makes it easier to clean, it lacks solid comfort features. Thermoplastic allows you to get the exact shape of your mouth molded in the device for a very reasonable price over dental clay. However, as a device that offers little to no adjustment and no custom fit, it is not exactly a surprise to discover that morning-after pain tends to be associated with SnoreMender. It’s a crafty idea, but most people aren’t fooled. Sleep Well Enjoy Life is based out of the United Kingdom. As a result, they do not have FDA regulations to follow, nor does the Better Business Bureau keep tabs on them. As credible as the creators are, this does not bode well for them as the company has ventured into the United States. There is a warning bell here. One, the product is not manufactured in the United States. This means the chemical composition of the product has not been under the American standard of scrutiny, although it is fair to say that Europe’s standards are stronger. The device has not gained clearance from the FDA. This fact alone can cause the company to lose clients and customers all over the United States. This is something American customers specifically look for. The clinical evidence they provide proves the concept works, but no mention is made about the manufacture of the device itself. Not very often do I come across a device that I do not wholly recommend. This is one of those rare cases. They are too many strikes against it'”too many alarm bells going off here. The FDA clearance thing, the lack of customization features, no critique from the BBB, and the general attitude of customers say this can be a painful device. Not everyone has a perfect dental arch that fit this pre-formatted mold perfectly. There are other devices on the market that offer more features and more comfort in the same price range. They are offering the MAD for $57. Now, what I am not saying is to go by price alone and get the cheapest MAD on eBay. While price plays a part in any decision of this nature, finding a mouthpiece that works for you weighs more heavily on the value scale. The company is a lightweight playing in the heavyweight arena. If they received FDA clearance or if they registered with the BBB, I would give them more credit. It is not all bad though. They have unique features not addressed in any other mouthpiece, like how pressure is placed on the lower front teeth and the fact that you do not need breathing holes to use it. Check out their product and website here.